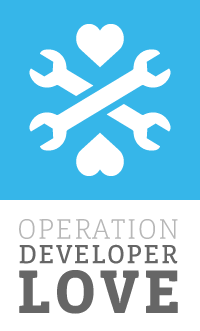 This weekly update comes from Dublin, Ireland, where we’ve concluded Operation Developer Love: Europe 2011. We want to thank the hundreds of developers that spoke to us and came out to our events. This trip has been invaluable to us as we think through the next steps for our products and programs. As promised at the events, we will post the slides and videos to the Dev Site as soon as we can (we hoped to have them posted by now, but are still working on getting all the materials together). it will return events that I have been invited to in the past two weeks rather than all the events that I have been invited to. We think this will result in noticeable performance increases for apps utilizing event data. We plan on implementing this change on May 3rd, 2011.
will return all the events that I have been invited to. This will also affect the Graph API where https://graph.facebook.com/260300016/events will return only events from the past two weeks. We often hear that developers want to stay abreast of changes made to our documentation. We recently added a Like button to all of the documentation pages on the Developer Site. If you "like" a doc, we will publish back updates to your News Feed whenever the doc is substantially updated. Colm Doyle on the Developer Support team in Dublin is excited to watch Rebecca Black embedded in his News Feed.